‘Book of the month’ is a new monthly column, where Address contributors recommend and rate new titles that tickle our fancy. 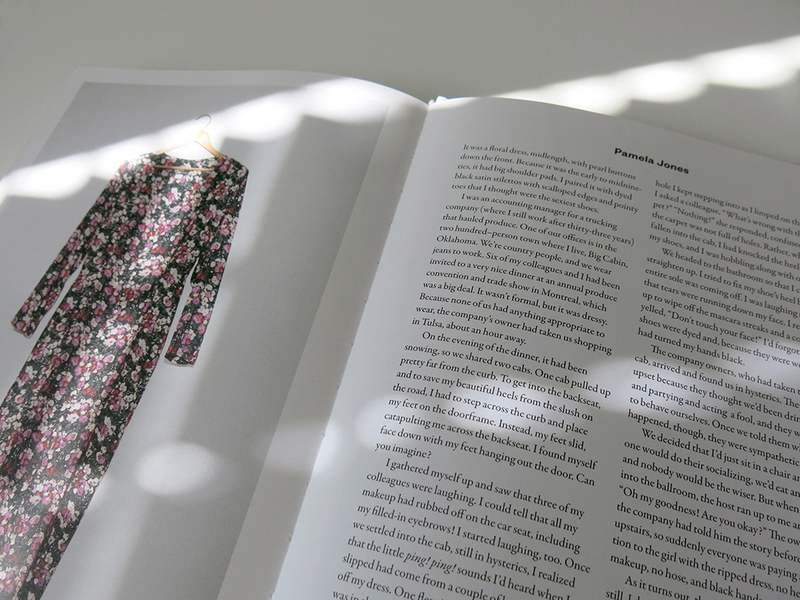 Whether fictional or factual, scholarly or not, we share our selection of books that cover the culture of fashion. 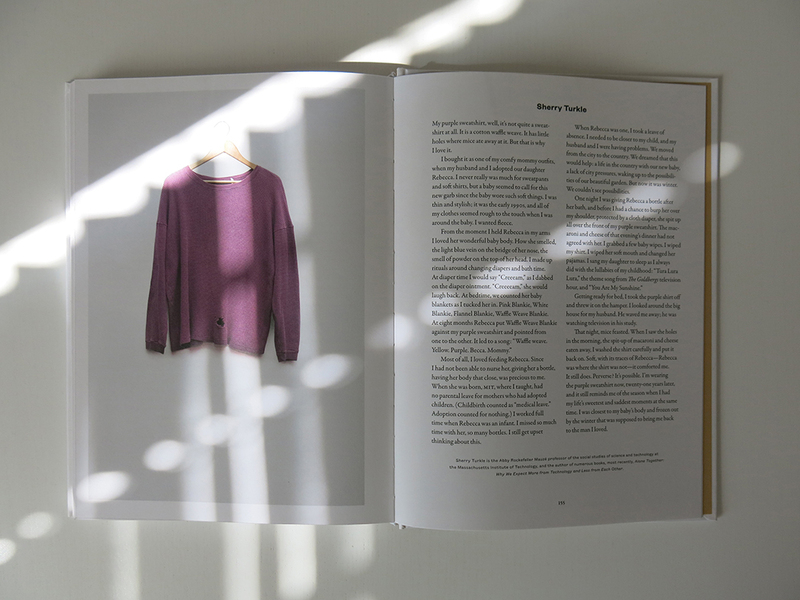 In this first review, writer Pat Francis discusses her response to Worn Stories, a collection of clothing and memories brought together by Emily Spivack. I was drawn to Worn Stories just from the title – the promise of insights, the weaving of memories and anticipation of seamless narratives and texts. Aren’t we all a little nosy and want to know another’s secrets – bad choices, embarrassments, of sensual fabrics, of gifts and legacies, of stains and tears, of laughs and tears? Just a few items are without a hanger – shoes, belts, a tie, a hat, and only one has a part of a person – the artist Marina Abramaovic whose feet and ankles are encased in the boots in which she walked the Great Wall of China. And its oddness among the rest of the images seems like a publicity photo provided by her agent, rather than a part of the design of the rest of the book. Some stories –such as this one are a little laboured and the garment takes a back seat (or is relegated onto the back foot). A few stories meander away from the dress/jacket/coat/shirt to become a self-indulgent musing. Significantly, the stories told to the author, Emily Spivack, are sharply edited and that focus often makes them more fascinating, more interesting, more insightful. I’m surprised to find myself writing that: but the editorial voice does not interfere – here it has enhanced. A few authors could be cut – or certainly shortened. One dress was shortened and could never be the same. Edith Raymond Locke was mortified when realising that this is the only remaining piece of clothing she has that reflects the designer Anne Klein’s work. A nugget of a tale we all could relate to. Guilt. Guilt associated with a garment. Spilt on, torn, spoilt – immediately I am reminded of a cape my mother sewed for me: the itchy woollen fabric, a turquoise blue and lined, swinging from the shoulders. On its first outing it swished against barbed wire and tore a gash which could not be invisibly mended. 50 years on, I wince. Many stories evoke memories for the author and the reader – times past, people gone, jobs lost, interviews flunked, no longer fitting, no longer worn – this perhaps is why so few could have been photographed with the owner inside. This is a book to dip into – not read all at once. But how do you dip? Fascinating question. Is it the garment hanging in space that attracts, the length of the text, the colours, the author’s credentials – or just where it falls open? Some stories are instantly forgettable – such as…. Well that proves the point. But others I will remember and read again – the father’s shirt cherished by his daughter musician (Roseanne Cash),and, for me, it is the haunting image, the cover picture, the jumper with a hole which belongs to Sherry Turkle. Here all the senses are evoked, memories, tenderness, not all answers given – actual events left suspended. A little analysis, a detail, a shivering: moments well told. Some people you feel you should know, but don’t. I’m left wondering how different editors would define their anthologies. How each reader would collect and arrange, select and curate. The idea behind this collection has been (and will be) mirrored, copied and repeated: it will inspire others. Worn stories cannot end: we all can contribute – stories that are, at the same time, unique and universal. That is the fascination – whatever my reservations. 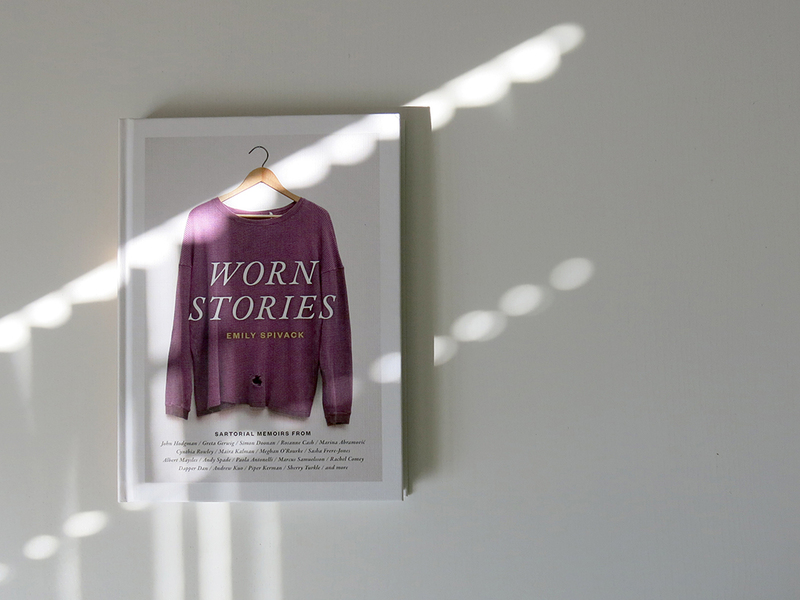 Worn Stories is based on a blog run by Spivack with the same title, is available from Princeton Architectural Press.